Las Vegas resident Samantha Smith hopes her Supernova driver idea becomes the next big thing in golf. 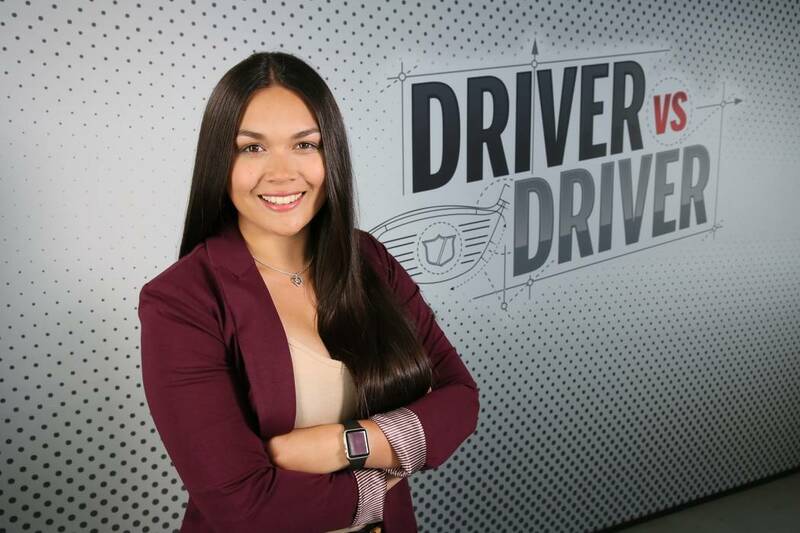 Smith, 22, is the only female among 14 finalists in the second season of Golf Channel’s “Driver vs. Driver” show, which debuts Tuesday and concludes Nov. 13. The winner of the elimination-style series gets $250,000, and the driver will be sold by Wilson Golf. The show chronicles the design and idea process of the contestants as they vie to have their concepts transformed into prototypes, field tested, critiqued and refined. Show judges are Jeremy Roenick, a former NHL player and avid golfer; Rick Shiels, PGA teaching professional; and Tim Clarke, Wilson Golf president. Smith is a pre-med graduate student at Touro University with plans to attend the UNLV School of Medicine. Her Supernova club concept was inspired by the astronomical term that is defined as a star that suddenly increases greatly in brightness because of a catastrophic explosion. “I watched Season 1 and thought to myself, ‘Why didn’t I know about this show sooner? I want to do this,’” Smith said. “I have always had a mind for science and love trying to figure out how things work. Golf is my passion, so I thought I could come up with something unique. My driver has weights on the crown of the club, which hasn’t been done before. UNLV senior Harry Hall got his first collegiate victory Saturday at the William H. Tucker Intercollegiate at the Championship Course in Albuquerque, New Mexico. He finished at 11-under 205 with rounds of 67-68-70. Jack Trent, a UNLV sophomore and Palo Verde product, finished ninth. The Rebels took second. Tom, known as “the Chairman,” used his home-course advantage to win. Harry Schroeder and Jake Peterson tied for second. UNLV assistant men’s golf coach Philip Rowe tied for sixth. Play nine holes and enjoy a fish fry and free beverage for $75 on Oct. 19 at Reflection Bay at Lake Las Vegas as part of the SNGA Social Series. Scott Taylor won for the first time on the SNGA Tour, claiming the championship division title with a 74 on Friday at Coyote Springs. Other winners: Todd Roberts, senior; Kevin Parrish, silver; Jeff Kinsler, net; Bill Madsen, senior net; and Gregory Ladner, silver net. UNLV women’s golf freshman Veronica Joels spent time with former Rebels All-American and current PGA Tour player Ryan Moore at TPC Summerlin last week. Where: Silverado Resort, Napa, Calif.